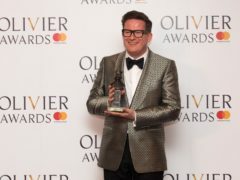 Sir Matthew Bourne will be honoured for his achievements in dance with a special prize at this year’s Olivier Awards. Kilmarnock chiefs have pleaded with fans to turn out in their numbers for Saturday’s hastily re-arranged clash with Motherwell. Pakistan has handed over an Indian pilot captured after his plane was shot down by the military amid a dramatic confrontation between the rival countries over the disputed Kashmir region. Opposition parties have criticised plans for an independent Scotland to establish its own currency in a proposed major SNP policy shift. Rescuers searching for a British climber missing in Pakistan are hoping for a miracle, the country’s Italian ambassador has said. Rangers manager Steven Gerrard is looking forward to another “box-office battle” between Alfredo Morelos and Scott McKenna – but wants it to go the distance this time. Rolland Courbis will treat Caen’s players to a meal out if they can stop Kylian Mbappe from scoring in Saturday’s Ligue 1 clash with runaway leaders Paris St Germain. Air traffic controllers working in the Highlands and Islands are considering strike action which could see the temporary closure of some airports over the summer.